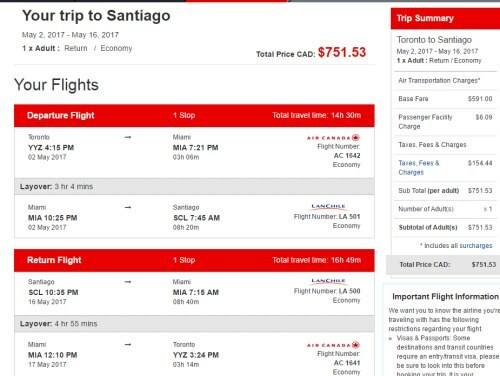 Air Canada and LATAM Airlines (formerly LAN) have dropped the price of their flights from Toronto to Santiago, Chile down to $751 CAD roundtrip including taxes. You can bring this down even further, to $651 CAD roundtrip including taxes, by taking advantage of the current booking promotion from Flight Centre. This is 33% below the typical bottom price for a roundtrip flight from Toronto to Chile. 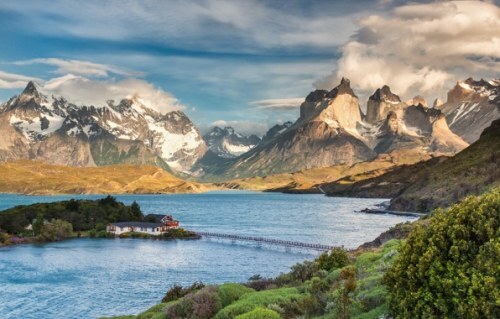 March and April are good months to visit Chile. 2. Flight Centre is offering a promotion for $100 off of all international flights from Toronto provided that the flight is a minimum of $750 CAD roundtrip. Look for the flights that are around $751 CAD roundtrip, with one stop each way. 4. Next, call Flight Centre at 1-877-967-5302 to book the flight. They will subtract $100 from the price shown on their website. toronto, yyz, flight deals, air canada, south america, santiago, chile, scl and latam airlines. 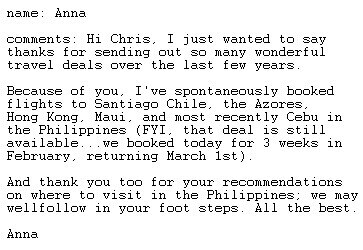 2 Responses to "Toronto to Santiago, Chile - $651 CAD roundtrip including taxes"
I'm having trouble finding this deal.. Everywhere I'm looking is $900+ ... Can somebody help out ? Unfortunately it does look like the prices have gone back up.